Declaring that 'Tamil Nadu media' asked Mevani to leave is inaccurate. The aborted interaction was certainly not a consensus decision by mediapersons present there, leave alone the state's media. 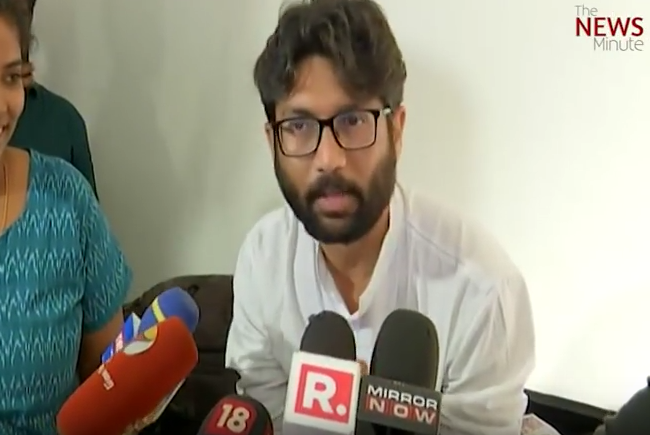 On January 16, Jignesh Mevani opted out of an impromptu press interaction on the sidelines of another meeting in Chennai after seeing a Republic TV microphone among the bouquet of mics on the table. It is fairly well-known that there is no love lost between Mevani – the new legislator from Vadgam, Gujarat – and Republic TV, which he and others have accused of unethical reporting and of hounding those critical of the Sangh parivar. So, it should not have come as any surprise that he refused to speak in the presence of a Republic TV camera. Soon after, Ahmed tweeted about the incident, saying that Mevani cannot “dictate terms”. TN media asks @jigneshmevani80 to leave…as he wanted a particular channel’s mic to be removed from a press conference. Chennai media says ‘No need for your Press conference’ you can’t dictate terms to us. Ahmed’s tweet evoked a curious reaction from sections of the English media which projected this as a show of solidarity against political bullying. Many Tamil social commentators declared the event as unfortunate, and were disapproving of the tweet. I wrote a Facebook post stating: “With Mevani. Against RepublicTV. Not every registered TV channel is legit media.” Some that are quick to pin labels on anything that they disagree with, branded Ahmed a “Brahmin.” To his credit, he laughed such accusations off and treated them with the condescension that they deserve. The media can and should have the freedom to cover and ignore what it chooses to. Ahmed too is no less a journalist than what he was before this incident happened. However, in the melee that followed with accusations and counter-accusations, congratulations and back-patting, some important questions were overlooked, and some broad and sweeping statements taken at face value. This is an attempt to address that. Tamil Nadu media has survived assaults on freedom of expression by both the Dravidian parties, more notably the All India Anna Dravida Munnetra Kazhagam. In a submission to the Supreme Court in 2016, the Tamil Nadu government admitted to having filed 213 cases of criminal defamation against its critics, including 55 media houses, in five years for “derogatory” remarks against the then chief minister J. Jayalalithaa. Clearly, there is need for the media to unite against bullying and interference by political or corporate forces. Not too long ago, Chennai mediapersons came together when prominent cartoonist G. Bala was arrested after he drew a caricature of chief minister Palaniswami, Tirunelveli district collector Sandeep Nanduri and Tirunelveli commissioner of police Kapil Kumar Sarathkar following a tragic incident where a family of four unable to bear harassment by loan sharks set themselves on fire and died. First, yesterday’s meeting was not a press conference. It may seem like a minor detail, but it is not. A press conference is called by someone who has something to say to the media. The speaker puts out an invitation, and the media has a tradition of sharing the invite with others in their circle. Whoever chooses to come can attend and should be addressed. At a press conference, members of public are generally not allowed and if they are, they can speak only with leave from the media persons present. Yesterday’s event with Mevani was a ‘Talk and Discussion’ called by Catalyst-Study Circle against manual scavenging. Media, of course, was welcome to cover the event and raise questions as participants, and they did. In a talk and discussion style public meeting such as this, the media has no extra privileges than other members of the public who come to participate. The aborted interaction that followed was an ad hoc event that was organised at the behest of a small clutch of predominantly national English mediapersons who requested Mevani for a general “bite.” Mevani was not obliged to offer a statement, but it is standard practice for public figures to honour such requests. The mediapersons present there invited Mevani to make a statement, not the other way around. So the statement: “Chennai media says, ‘No need for your press conference’” is wrong. The interaction was not a press conference as it was not called by Mevani. Additionally, those present at that interaction had no claim to represent Chennai media. Barring Puthiya Thalaimurai, others at the aborted interaction were reporters from English national media houses – NewsX, Mirror Now, Aaj Tak, CNN18. There is no denying that these reporters too are part of Tamil Nadu’s and Chennai’s media. However, they cannot claim to represent Chennai’s media, especially when a large section of Tamil media actually went ahead and interacted amicably with Mevani at a press meet at Viduthalai Chiruthaigal Katchi leader Thol. Thirumavalavan’s office later. Second, how could “TN media” have asked Mevani to leave as suggested in Ahmed’s tweet? Mevani was not even in their space. The handful of reporters were at a venue of a public meeting. Where from were the media persons asking Mevani to leave? For how long would Mevani have to leave? Can he come back? What exactly was the implied threat? Third, the tweet is troubling in the voice it seeks to shut out. Mevani represents the voices of a section of workers and Dalits and beleaguered minorities. The media’s job is to visibilise the invisible, and amplify the voices drowned out by dominant forces. Ending the interaction because the terms of the interaction were unacceptable to the media is perfectly justified. But to declare that “Tamil Nadu media” asked Mevani to leave is irresponsible, inaccurate and uncalled for. Yesterday’s aborted interaction was a hasty reaction, certainly not a consensus decision by the media persons present there, leave alone Tamil Nadu’s media. The video recording of the incident is 28-seconds long, certainly not time enough for reporters to come to a collective decision representing all of Chennai and Tamil Nadu’s media to “boycott” Mevani. Tamil Nadu media is no longer represented merely by employees of a few powerful media houses. News is made and distributed in the social media by citizens, some of whom do not even realise they are reporters. In this instance, barring one reporter from Puthiya Thalaimurai, the rich diversity of Tamil news media was totally unrepresented. Then there is the debatable question of what makes a news media organisation. The jury is out on whether registered media houses like Republic TV qualify as legitimate news organisations. As a practitioner and teacher of journalism, I feel Republic TV fails the test of journalism. It actively advocates for the curbing of free speech of entire sections of people, especially when expressed opinions are unacceptable to their political dispensation. Backed by money, power and proximity to the ruling elite, their freedom of expression actually vitiates the tiny space within which the powerless are required to speak. Let me make my biases clear. I support Mevani for what he says he thinks, and what he says he would like to do. I supported his election campaign by contributing Rs 1,000. I would have voted for him had I been a voter from Vadgam. My vote is not for Mevani the person, but Mevani the promise of a refreshing brand of politics with real issues, honesty, humour, irreverence, love and inclusivity. As for the media in Chennai, it is as diverse as the media in most cities of India. I do not think yesterday’s incident was anything but an unfortunate reaction by some in the media to a trigger – a trigger that they experience all too often at the hands of the powerful and mighty. I say unfortunate because Mevani is not the powerful and the mighty. 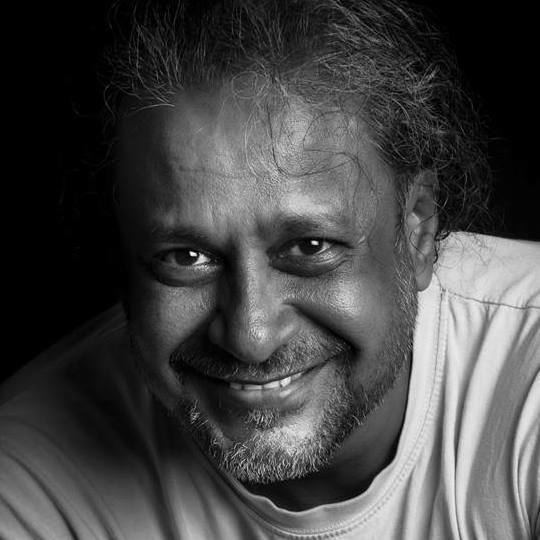 He is the victim of the powerful and mighty, the representative of the underdog classes, who has been able to get his voice heard despite the likes of Republic TV. Standing on the side of Republic TV is not solidarity with journalists or journalism, but solidarity against it.